The Garratt Lane end of Franche Court Road appears sometimes to be thick with Summerstown182 stories. Occasionally on our walks we have stood on the pavement for what seems like hours, criss-crossing the low numbers to hear the stories of the likes of Samuel Tickner, Thomas Kirkland, Phillip Chapman and Samuel McMullan – we haven’t even got to Frank Tutty yet. Sincere apologies to any residents who don’t yet know what’s going on. 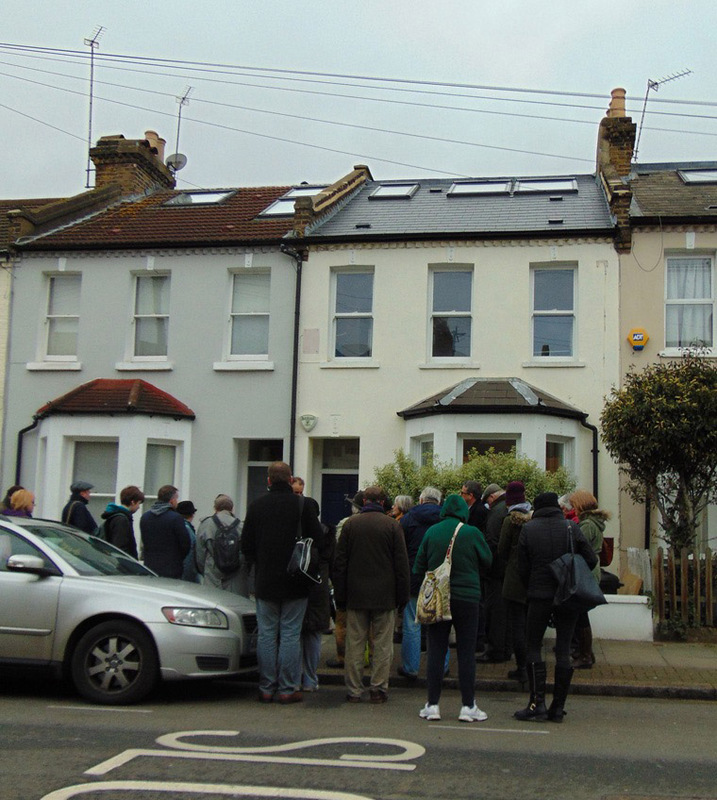 The Anglo American Laundry end of the road remained largely unexplored territory until the legendary February walk this year when we paused outside No45 and the family of Arthur Clarke paid homage. I felt a little bit guilty that day because next door, No43, was the home of Arthur William Pickworth who didn’t get a mention. Now is his moment. 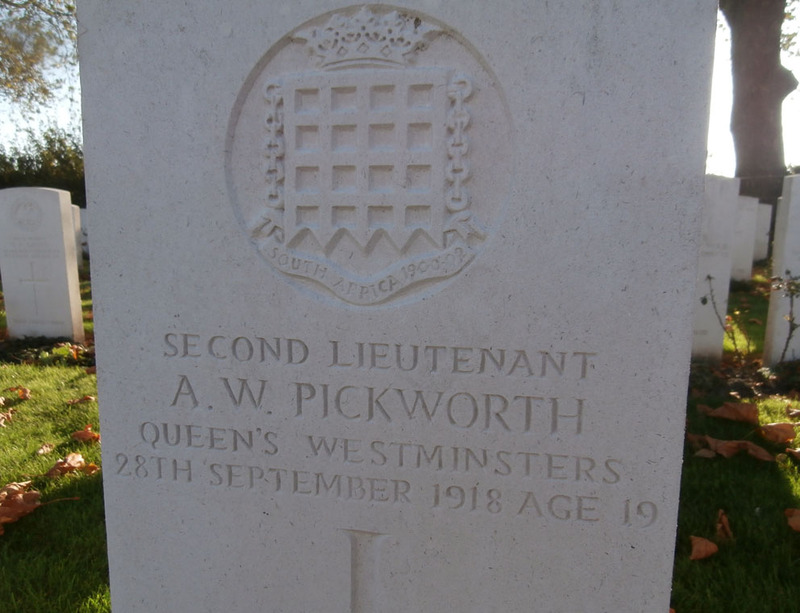 Arthur Pickworth is an outstanding member of the Summerstown182 for the reason that he is the only commissioned officer among them. He was killed in the fighting at Messines on 28th September 1918, just six weeks before the Armistice, as the allies drove the Germans back through Belgium. He was the eldest son of Alfred and Adah Pickworth and much of the information about him comes through his education and records that have been preserved by his school, Christ’s Hospital in Horsham in Sussex. Arthur was baptised at St Mary’s in April 1899, the year that Reverend John Robinson arrived and five years before the current church was built. His father was a schoolmaster and he had a brother Edward and two sisters Catherine and Mary. Catherine was very friendly with Arthur Clarke’s sister Hilda and it is through Hilda’s daughter Helene that we have been able to tell this story. 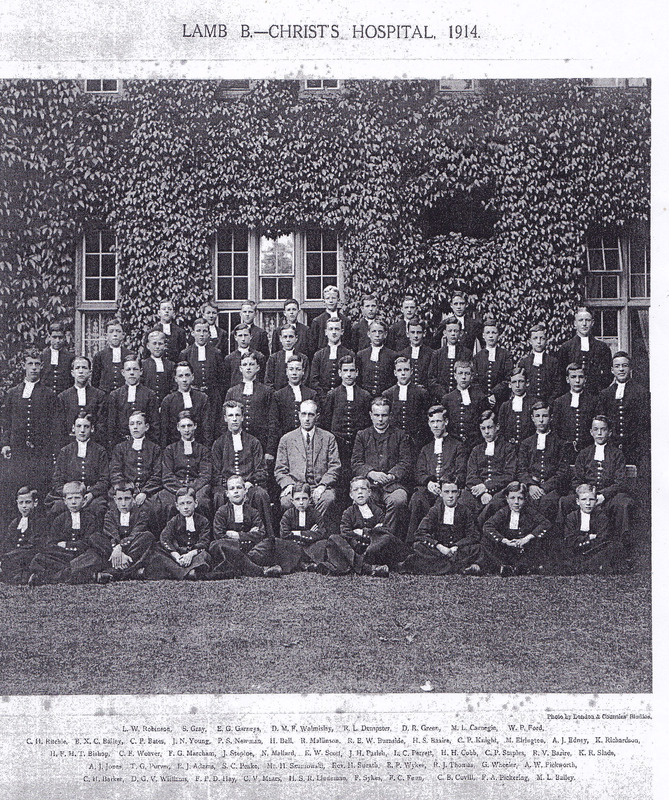 Arthur made the move from Summerstown to West Sussex and went to Christ’s Hospital in 1910. This extraordinary establishment was a boarding school founded in the City of London in 1552 by Edward VI as a place to provide shelter and education to ‘children from the streets of London’. Connections were made with livery companies which still provide funding today and its very special remit is still applied with up to 88% of pupils receiving bursaries. The school moved from its original home to a thousand acre site at Horsham in 1902 and it is the only school in the country to have its own railway station. Arthur spent six years at the school which still wears its original Tudor uniform, a long blue coat with a brown leather belt, grey breeches and long yelllow socks. He was a very learned pupil, an acclaimed greek scholar and monitor. Upon leaving he started work for a firm of timber brokers, Price and Pierce. In March 1917 he joined the 2/16th Battalion of The London Regiment (Queen’s Westminster Rifles) as a rifleman and was soon after offered a commission. His records describe him as ‘Unimpressive at first but a very sound and very intelligent man. He possesses very much more vigour than appears at first sight, is an athlete’. This description would seem to fit rather well with his photograph which presents him as a studious, bespectacled individual, perhaps ill-suited for the rough-and-tumble of army life. But this gentle intelligent man ended up serving in some notorious and far-flung hotspots. A year earlier his battalion had been packed off to Ireland to help quell the Easter Rising. In the spring of 1917 they were sent to Salonika, engaging the Bulgarians at Lake Doiran before moving eastwards to the conflicts in Palestine. The Third Battle of Gaza, the capture and defence of Jerusalem and the battle of Tel Asur. These were all places where members of the Summerstown182 perished; Ernest Matcham at Doiran, James Tugwell at Gaza, Horace Woodley and Walter Tappin at Tel Asur. The following year the Westminsters returned to France and it was in the advance in Flanders not far from the rench border that Arthur was himself killed. 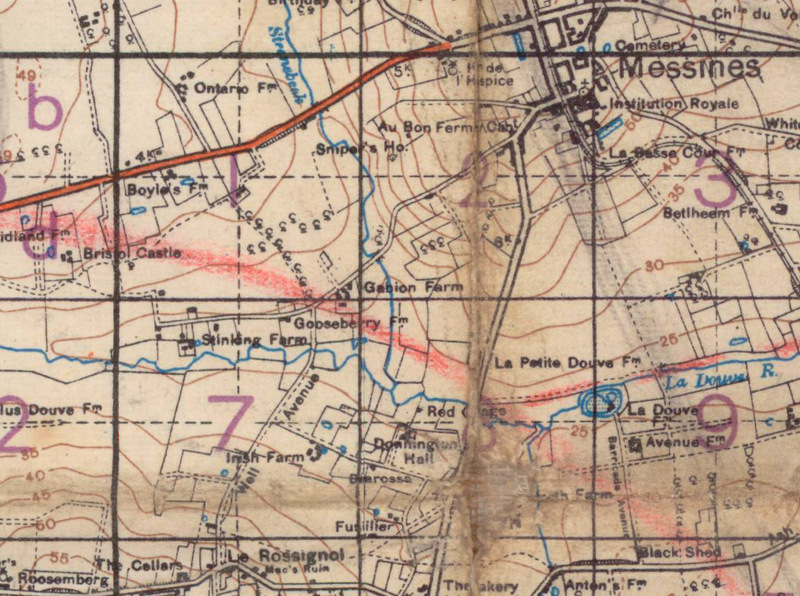 The Great War Forum provides an insight into what happened on 28th September 1918, a mile or so east of Messines as the Queen’s Westminsters attacked that day at 3pm. 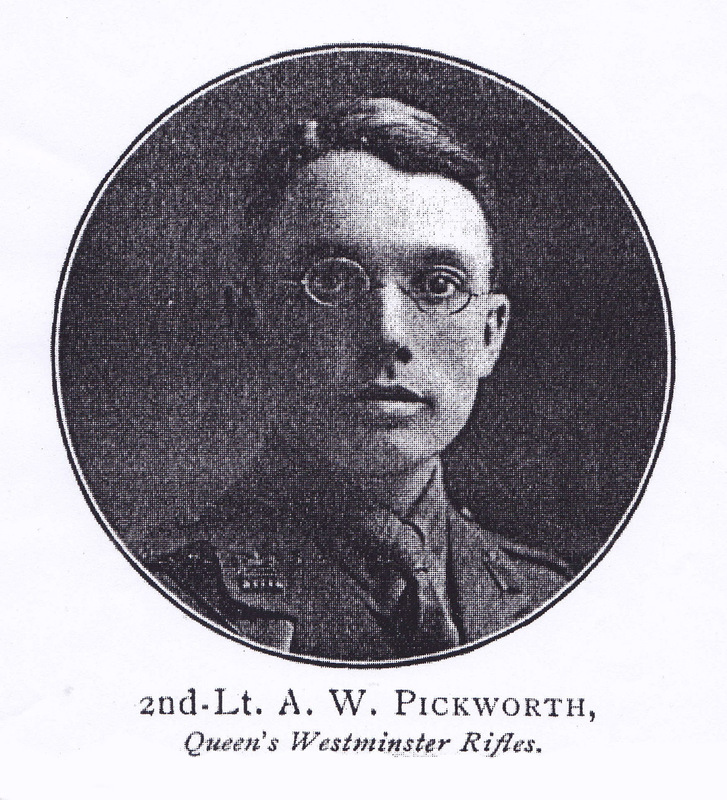 Small consolation to the family of Arthur Pickworth, but it was a successful attack on the German line. They achieved and held their four objectives and a trench map indicates the locality, offering up such intruiging names as Gooseberry Farm and Stinking Farm. Arthur was nineteen and as a young officer, expected to put his head over the parapet first and consequently more likely to die than most. He is buried at the lavishly named Wulverghem-Lindhoek Road Military Cemetery which was once a field dressing station. In October we visited and found Arthur’s grave. Emblazoned proudly with the familiar Westminster portcullis badge, it was crystal clear, unravaged by the years, as if it had only been cut yesterday. Not too far up the road on the higher ground of the Messines Ridge itself is the grave of George Nathaniel Daniel who fell there just over a year earlier. Arthur’s family may have moved to Cranleigh in Surrey after the war as his Commonwealth War Graves Commission record shows his parents residence as Park House Farm. 382 ‘Old Blues’ past- pupils of Christ’s Hospital were killed in the First World War, among them Edgar Cox the youngest Brigadier General in the British Army. The school journal ‘The Blue’ gives Arthur a good mention in its June 1919 edition. ‘He was a worker with the CH Mission and Mr Newman says of him ‘Personally I feel that I have lost a dear lad, who has given me so much help’. The Rev HG Peile, Senior Chaplain writes ‘I am certain no one ever made the Great Sacrifice more thoughtfully and gladly’. Dr Upcott in a letter to his parents which they much appreciate, says: ‘May God comfort you in the thought of his blameless, beautiful character’. A fellow lieutenant writes ‘I’ve only known young ‘Picky’ for a short time, but I’ve learned to like and admire him immensely. It does one good to meet with such a fine high-minded boy.’ And his platoon sergeant, who had been a fellow NCO with him at Richmond Park writes ‘It was indeed an honour to be led by such a splendid Christian soldier in the true sense of the word, and the whole platoon was proud to be under his command’. We are very grateful to Helene Steggals, the niece of Arthur George Clarke of the Summerstown182 who has provided much of the material for this story and sought permission from Christ’s Hospital School to use the photographs. When I was in Australia in the early nineties I had a job in a sheet and bedding factory. The people I worked with a rough, tough but very likeable breed. They breakfasted on Tooheys Red, popped pills during frequent ‘smoko’ breaks and generally swore and bantered their way through long shifts on the packing line. They were proud to call themselves Westies, they came from the Western Suburbs of Sydney, places like Liverpool, Campbelltown and Blacktown. It was a world away from Kylie and Jason or Bondi Beach. Its an even longer way from Franche Court Road to the Parramatta River, never mind one that goes via the Gallipoli peninsula and Egypt. But its a journey we make everytime we pause opposite a house at the Garratt Lane end of this road on a Summerstown182 walk. No3a was ‘home’ to Phillip George Chapman of the 4th Australian Infantry. His sixty four page service record states that he was severely wounded at the battle of Lone Pine, Gallipoli and taken by hospital ship to Alexandria where he died on 16th August 1915. Phillip had followed a brother and a sister to Australia and the file contains correspondence from his siblings relating to information about his medals and grave. 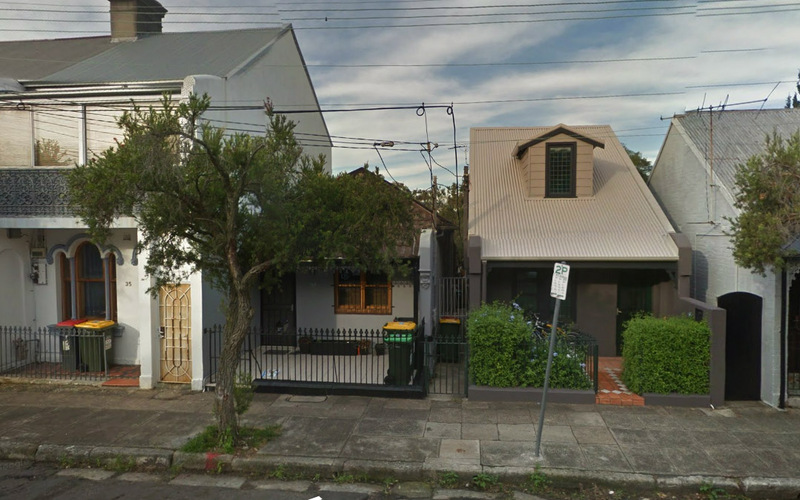 Mention of Liverpool and Petersham took me back to those factory days at Botany Bay and even more so when I googled the addresses and saw houses which probably looked pretty much the same as they did in the early twenties. In 1900 about one in twenty people emigrated to the colonies. Great poverty and lack of prospects drove many from their homes. At least three of the Chapman children – Phillip, his younger sister Elsie and an older brother George sought a new life in Australia. They were originally from a rural part of Suffolk not far from Bury-St Edmonds where Philip Senior and his wife Eliza ran an inn in the village of Tostock. 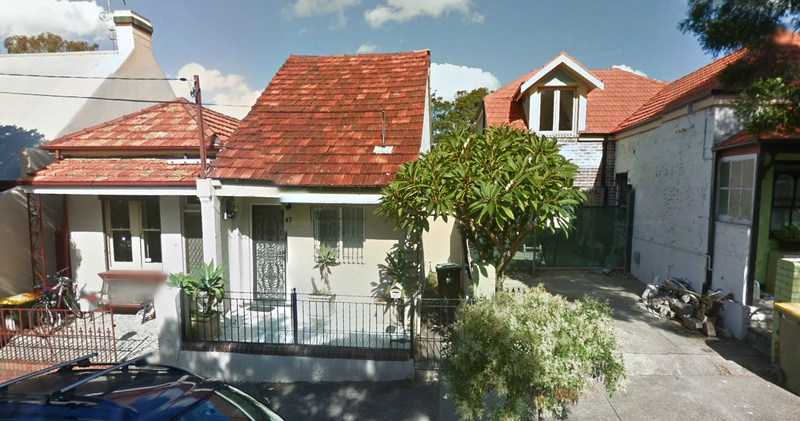 That was where Phillip was born on 13th February 1884, the fifth of seven children. His resourceful father was also a trained wheelwright. 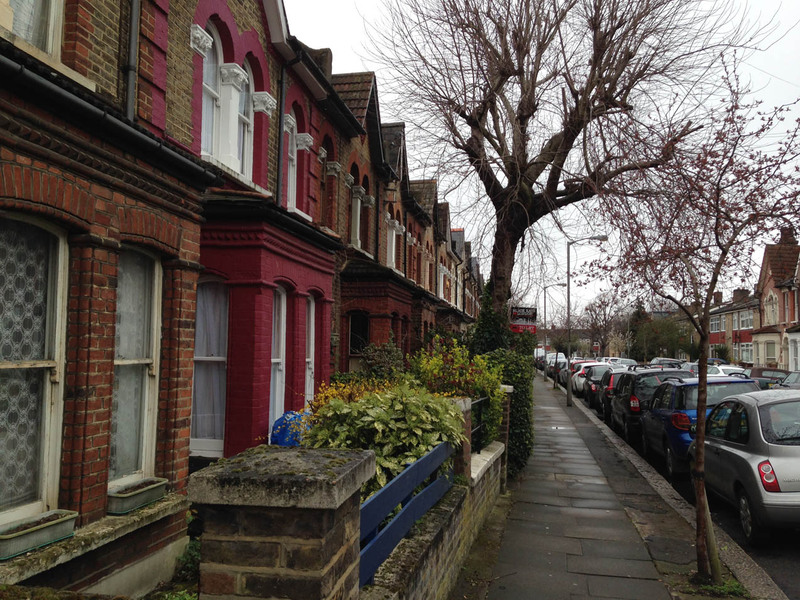 In 1890 the lure of the big city brought the family to Earlsfield and they lived at 5 Summerley Street near the station. Its possible that Phillip Senior was connected with one of three very nearby pubs. The beautiful old terraced houses in this road are some of the oldest in this area, though the original No5 has now been replaced by a 1970s development . 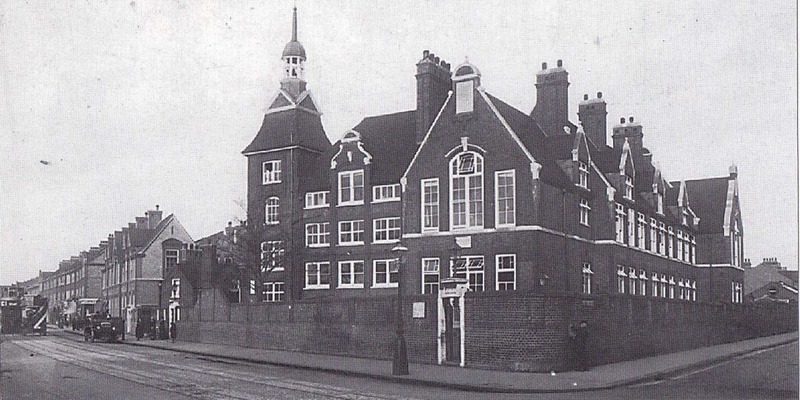 There were now seven children, four boys and three girls and Phillip attended Waldron Road school on Garratt Lane. This was destroyed in an air raid in 1940. By 1901 they had moved to the heart of Summerstown at 51 Blackshaw Road, again very convenient to about four local public houses. 17 year old Phillip was working as a labourer and might well have helped build St Mary’s Church. In 1906 it seemed they were on the move again, back out east to manage another pub near Braintree. In 1911 they lived at the Bull Inn, Wethersfield and Philip now 27 was a carpenter. Such a skill would have been very useful in an emerging country with homes to build. In 1912 his parents decided to move back to Summerstown to 3a Franche Court Road, perhaps to be close to their daughter Beatrice who had stayed in the Wandsworth area after marrying William Gunner in 1900. More about them later. It was around this point that Phillp decided his future was Down Under. It was from George’s address at 35 Charles Street, Petersham that Phillip joined the army in February 1915. Quite what he did in the few years before this is unclear but a fascinating newspaper cutting which was found on Ancestry UK provides some insight. It states that he ‘Left England for Australia in August 1911 and was for some time in the bush, afterwards working in Blackbutt Queensland and then going to Sydney’. 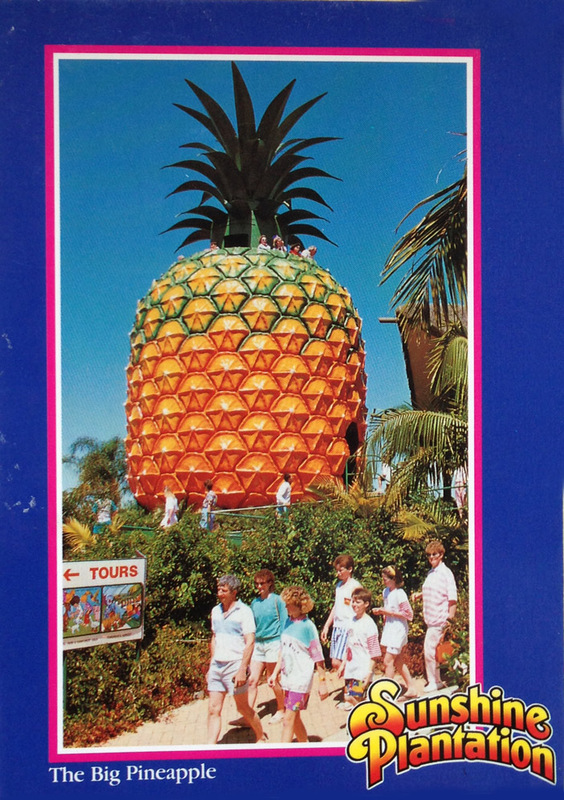 I passed not far from here on my Aussie adventure, there’s a famous gigantic kitsch fibreglass tourist attraction called The Big Pineapple. He enlisted on 8th February 1915. This was at a place called Liverpool about thirty miles outside Sydney, down the Hume Highway. This was a major training centre for Aussie soldiers in both wars. It was also the starting point of a ferocious riot the following year which lead to the infamous Battle of Central Station. Phillip didn’t have to join up, there was no conscription in Australia, but like about one in four of those who did, he was born in the British Isles. On 17th March 1915 he sailed on HMAT A9 Shropshire to Egypt en route for the bloodbath that was to be Gallipoli. He embarked there on 31st May just a week after a 24 hour ceasefire was called to allow the two sides to bury the 4,000 dead whose rotting corpses essentially blocked the opposing lines. By this stage the allied forces having made their initial costly landing on 25th April were essentially trapped on the peninsula, unable to advance but still capable of moving troops in and out. A note on 15th June indicates he was attached to the Army Corps Engineers. Meanwhile the Shropshire went back to Sydney and in August took Alf Chipperfield, another of the Summerstown182 Aussies to the Dardanelles. 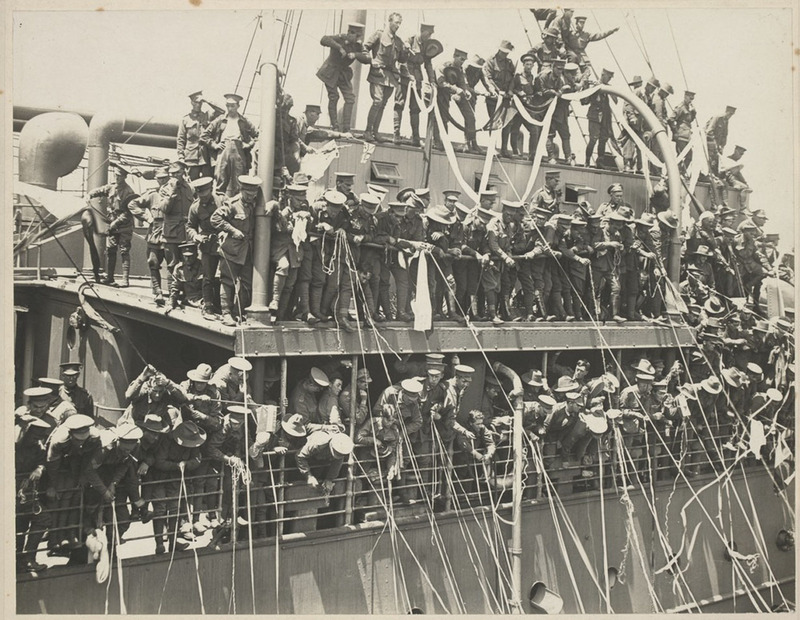 The above photograph of it loaded with troops was taken in November 1916. Having quietly reinforced, in August, another ill-considered attempt was made to push forward and end the stalemate. The same newspaper cutting states that Phillip had been ordered a rest because his eyes were weak but ‘would not go upon hearing of the impending charge’. It would seem he was seriously wounded in this Australian ‘charge’ at Lone Pine on 6th August. He was ‘admitted to 3rd Field Ambulance and transferred to Base’. He was found a place on the hospital ship HMS Delta on 7th August. His injury is noted as a gunshot wound to the right shoulder. Its hard to imagine the nightmare journey that must have followed but he made it to Egypt and No15 General Hospital Alexandria four days later. Another document indicated the injury was to his leg and arm and a scribble underlines the word severe. He died here of his wounds on 16th August and was buried at Chatby Military Cemetery by Principal Chaplain J Padfield. 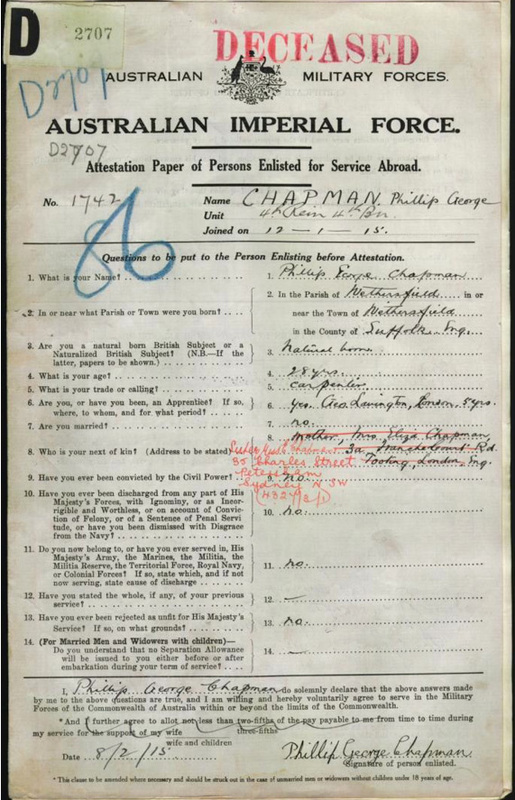 George Chapman in Sydney wrote to the Australian War Office on a number of occasions between 1915 and 1926 from several different addresses in the Petersham area. 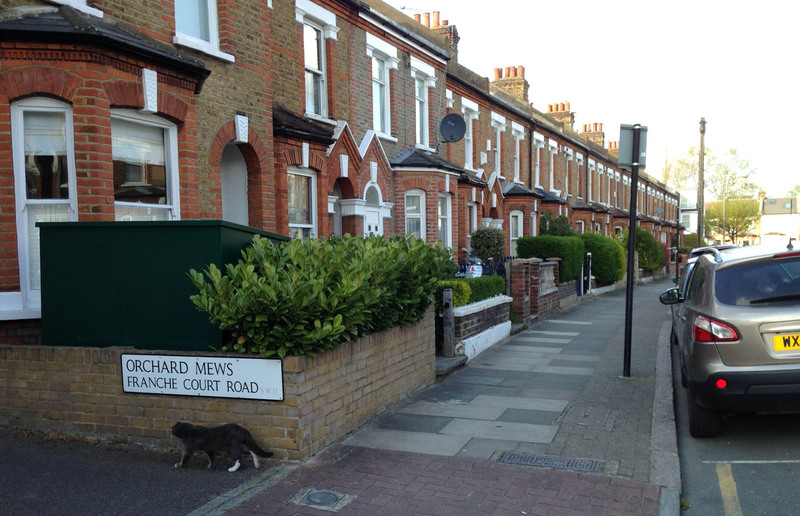 In one he mentions that his mother and father at 3a Franche Court Road are both dead ‘and there is no one there now’. They died within a few months of each other in 1917. His enquiries relate mostly to the issue of medals and a photograph of his headstone. The army replied to this detailing a cost of seven shillings and sixpence including postage. One very poignant note dated 25th August 1915 from George enquires on the nature of Phillip’s injuries as ‘he was reported in yesterday’s paper, the 24th to be severely wounded’. The letter was written nine days after his death. Another item is a list of ‘personal effects of the deceased’. This included a watch, a silver matchbox, money box, medallions and a note book. There also a letter from the Grand Lodge office in Sydney of the ‘United Ancient Order of Druids’ concerning what appeared to be a life assurance claim. The attack at Lone Pine was launched in the late afternoon of 6th August and pitched Aussie forces against well-established Turkish defences, in some cases roofed over their trenches with pine logs. The main trench was taken twenty minutes into the attack but was a prelude to four days of bloody hand-to-hand fighting which resulted in over 2,000 Australian casualties – roughly half of those committed to the fighting. There were approximately 7,000 Turkish casualties, roughly 2,000 dead. Such was the intensity of this battle, which was fought in an area that has been described as the size of two football fields, that seven VCs were awarded over these four days. The COs of both 2nd and 3rd Battalions were killed leading their troops. The CO of the 4th had already been killed the day after the original landing at the end of April. 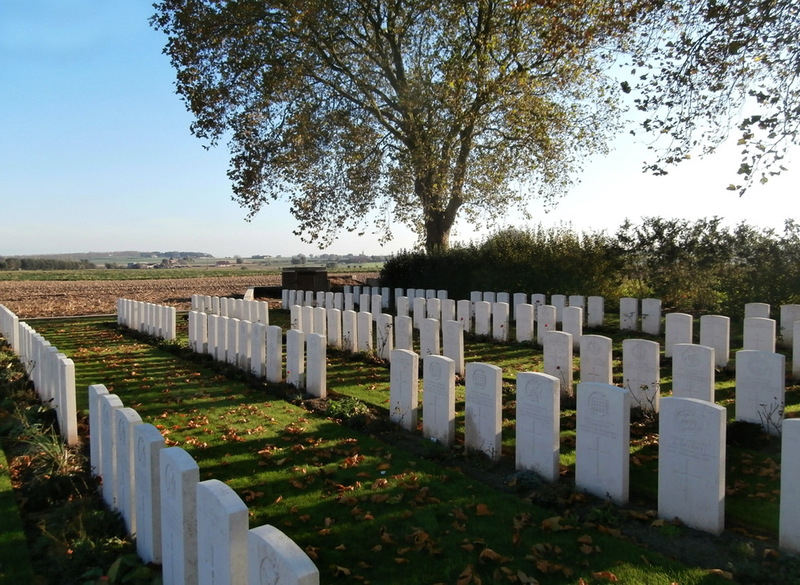 Captain Harold Jacobs of 1st Battalion remarked ‘the trench is so full of our dead that the only respect we can give them is not to tread on their faces, the floor of the trench was just one carpet of them’. 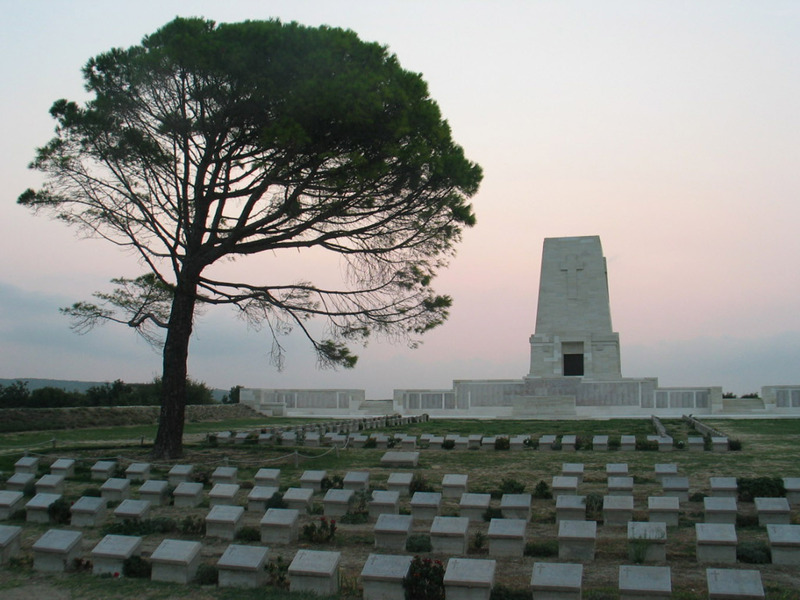 Lone Pine is the site of the official Australian War Memorial in Gallipoli and will be visited by thousands of their countrymen over the next months. Despite the dreadful losses it was the birth of a nation and has become part of public consciousness. For Australia, as for many nations, the First World War remains the most costly conflict in terms of deaths and casualties. From a population of fewer than five million, 416,809 men enlisted, of which over 60,000 were killed and 156,000 wounded. Meanwhile around the turn of the year Christine got in touch with Colin Gunner. Colin’s Grandparents were Phillip’s sister Beatrice and William Gunner who ran a sweet shop on Garratt Lane. She died in 1971. He knew all about Phillip Chapman and had done some research but he didn’t know that his name was on a memorial in a church just a mile or so from where he had grown up in Southfields. 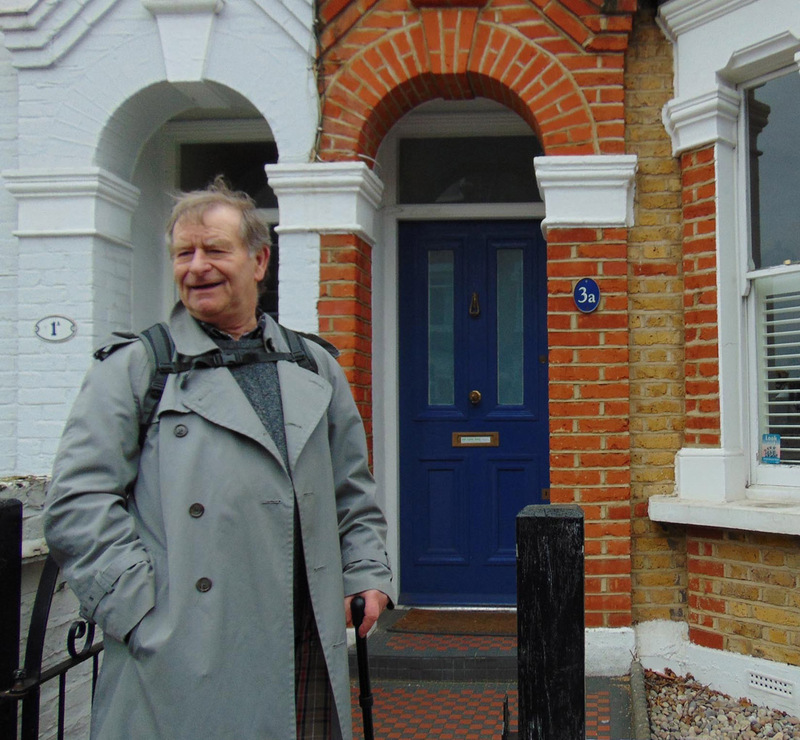 Colin and his wife Shirley came on our memorable Summerstown182 Walk in February when we stopped outside the Chapman home at 3a Franche Court Road. Just a couple of doors along was No7 where we paused for a minute’s silence and left a poppy cross on the 96th anniversary of the death of Samuel Ambrose Tickner. A further two doors along from that lived Frank Tutty whose grandson has also emerged recently. Further down at No45, two nieces and one grandniece paid homage to Arthur George Clarke. What a day. Quite what the current residents made of it all I’m not sure. Phillip George Chapman was just one life lost among over half a million casualties at Gallipoli. Very rightly their memory will be prominently remembered over the next few months and beyond.